You should take care of the skin so that it remains glowing and healthy. The dry skin and the oily skin both need different types of care with different ingredients. 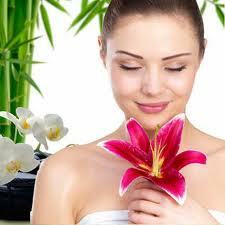 The main aim is to maintain the moisture content of the skin so that it remains soft and supple. You should remove the dry scales of the skin with the help of gentle scrubbing. Make a solution with 1 tsp of Vitamin E oil, 1 tsp of glycerin and add 5-6 drops of fresh lime juice to apply it on the face and hands or make a mixture of 5-6 drops of fresh lemon juice and same quantity of glycerin in 2 tsp of olive oil and rub the mixture between two palms to generate some heat or you can take warm olive oil. For extra glowing skin, you need to take a special step. Prepare a solution of almond oil, milk, olive oil and the orange peel. Leave the paste on the face for 15-20 minutes. Use cold water for washing the paste and dry the face with a soft towel dipped in ice water. You get the glowing skin that attracts everyone around. Enjoy the healthy skin that glows continuously.